Cycorder is by far the best video camera application available for iPhone 3g. It’s simple, free, its frame rate slays, its got sound, and it doesn’t leave crappy watermarks all over your videos. Yes, you need a jailbroken phone to install it. But if your phone isn’t jailbroken, you get what you have coming to you. Unfortunately, Cycorder seems to have a bug that prevents it from working on firmware 3.1.3, at least for the moment. As far as I can tell, your next best bet is the UStream Broadcaster, available in the iTunes App Store. By using the local record mode, you can save videos with OK frame rates, no crappy watermarks or time limits, and a so-so resolution of 320×240—the best free combination on the App Store. 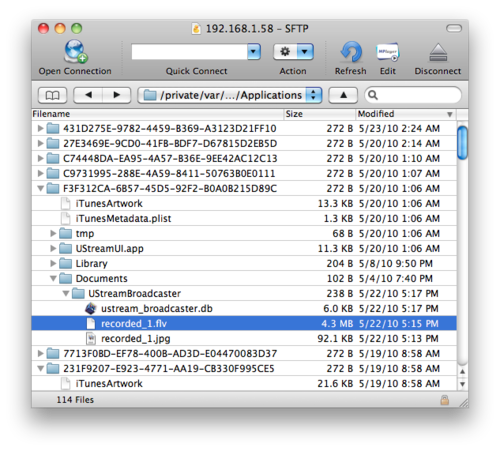 After recording, these videos will be saved on the iPhone filesystem (access it through SFTP—your phone is Jailbroken, right?) at private/var/media/Applications/. Unfortunately, Apple hates its customers, so each application folder has nonsense string of characters for a name. Rather than dig through each one, your best bet is to look at date modified—the last UStream Broadcaster update was around 5/20/2010 as of this writing. The real curious part is that the videos are saved in Flash (.flv format)—something you’d think The Steve wouldn’t be OK with—and yet there it is, right there in an official App Store app! They even play back on your phone, though I think they’re converted on the fly to .mp4, which is why it takes a few minutes to preview them. 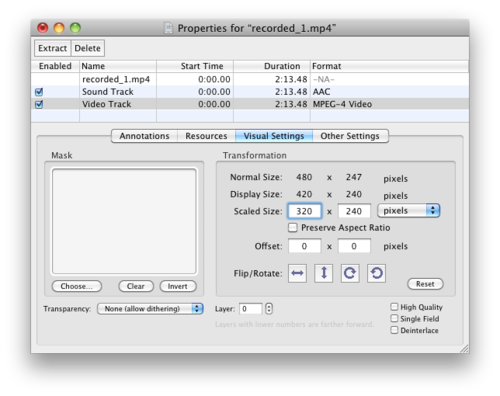 Save it all as a self-contained .mov once the aspect ratio is corrected, and you get a barely-passible-but-at-least-watchable video that should run trouble-free on any Mac, iPhone, iPad or PC with QuickTime installed—no web sharing required.